Now that the Samsung Galaxy S4 is becoming increasingly available, we're going to begin seeing many more of its software features leak out. While we wait for major software leaks and updates for things like the GS4 camera and the next iteration of Jelly Bean (Android 4.2), some features are available now. We can already port the S-Translator, S-Voice, and Multi-View features over to our GS3s, but now it's time for a little cosmetic treatment. Renowned ROM chef and themer rompnit has created a series of weather widgets from the GS4 for us to download onto our Samsung Galaxy S3 devices. Keep in mind, as these are TouchWiz widgets, they will only work if using the stock launcher, meaning alternatives such as Apex and Nova will not allow you to use these widgets. Installation of these AccuWeather widgets involves choosing one from below and flashing it in recovery mode. 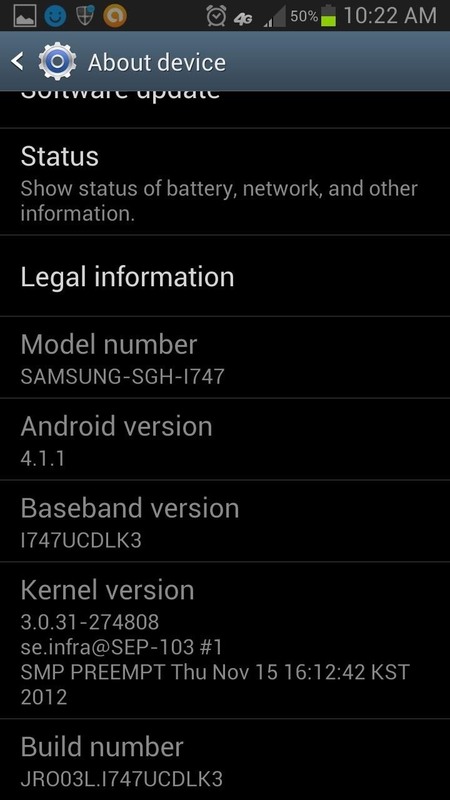 You will need to be rooted and running a TouchWiz-based, deodexed 4.1.X ROM. To install, simply download the style you want, place on the root of your phone, wipe caches, and flash in recovery. Now your Samsung Galaxy S3 is one step closer to its new GS4 brother. 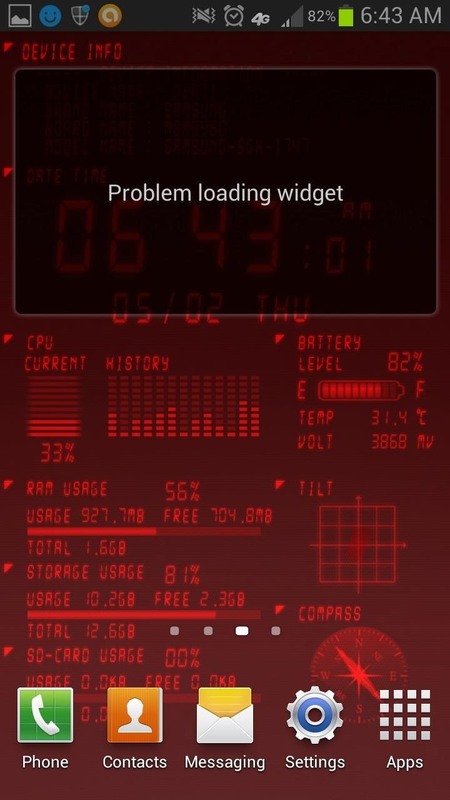 For more GS4-like weather widget downloads, check out rompnit's post. Stay tuned for more port-overs; they'll be coming soon! What rom and android version are you on? It seems as if, and please tell me if I'm wrong, that you are rooted, but not on a custom rom. This mod requires you to be on what's called a deodexed rom. There are many available, if you tell me your service provider (I'm guessing ATT), I can make some recommendations. Changing from stocked-rooted to a custom rom will most likely require a full data wipe, so if this is a road you want to go down, consider making a backup of your apps and messages. I'm looking for a ROM that is like the premium suite. Do you know any custom ROMs like this? Are you on ATT? Need to know so I can steer you in the right direction. Try this. It's mainly stock but with full Premium Suite and a bunch of other features. this one looks really good i think i will try it. i installed this one you recommended i feel as if ive won the lottery lol. so good so far. now i have to flash a kernal so i can get wifi and then i will start exploring my new phone. OMG! dude if i could give you all my kudo's right now i would! this is exactly what i have been looking for. manI am so happy right now! lol it feels like christmas. thanks Faisal Hussain and jason. if anyone else is having this problem you can get the JB 4.1.2 premium for galaxy S3 model SGH-I747 AT&T here http://forum.xda-developers.com/showthread.php?t=2256033 and dont forget to thank them. Not a problem at all! Really glad it worked out for you. If you ever have questions or issues, post in our forums. It doesn't have to be a custom rom, but it DOES have to be deodexed. It will still be stock Samsung touchwiz, but deodexed to allow for mods such as this. If you happen to be on sprint, check out this thread for the latest MD4 odexed, and deodexed touchwiz rom: http://forums.androidcentral.com/sprint-galaxy-s-iii/272331-your-way-update-md4.html they have the other carriers as well, but I'm on sprint so those are the only ones i find and follow. Love these by the way Faisal!! Keep em coming, pretty soon these beasts won't be S3's anymore. We'll be rocking S3.5's!! Thanks again. 1 question though: anyone know why the S4 Svoice port no longer works? I had to roll mine back, but i liked it and really want it to work again! Any insight is always awesome. Yea I noticed that as well. My guess would be that Samsung did something server side. I'm going to ask some people in the know and see if there is a new apk out. quick question if i install a stock deodexed rom will i still be able to update from the carrier? Not if you're rooted, you'll have to download the update .zip file online, and then flash it through clockwork mod in recovery mode. It's quite easy once you do it for the first time though. Yup, as Jason said, you'd have to update manually, but it's very easy (basically just flashing the firmware and modem). No, newer builds like yours should already have these widgets.